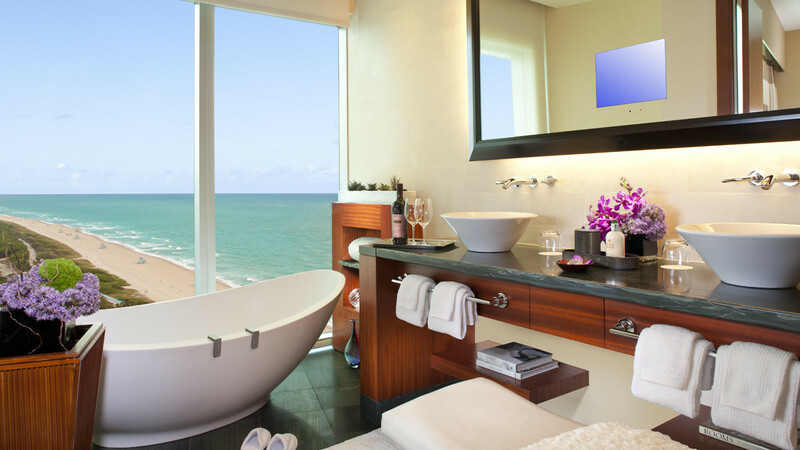 Highlights: The W South Beach is the flagship resort of Starwood's contemporary and hip brand, W Hotels. If you are familiar with W Hotels, you may need to check any preconceived notions with the valet attendant before checking into the W South Beach. 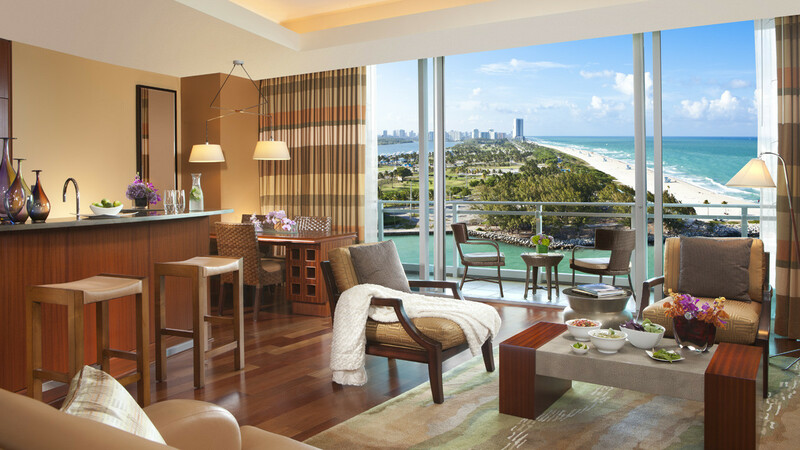 The W South Beach is more luxurious, more artistic, more thoughtfully designed and arguably as a far greater following than any other W Hotel in the world. It is truly a who's who's crowd that stays at their resort from musicians, actors, entertainers and athletes, it also has a refined contemporary following among the Fine Art community as well because there is more than $100 million of artwork around the resort (the owner is a big collector of fine art and most of the pieces are from his personal collection). 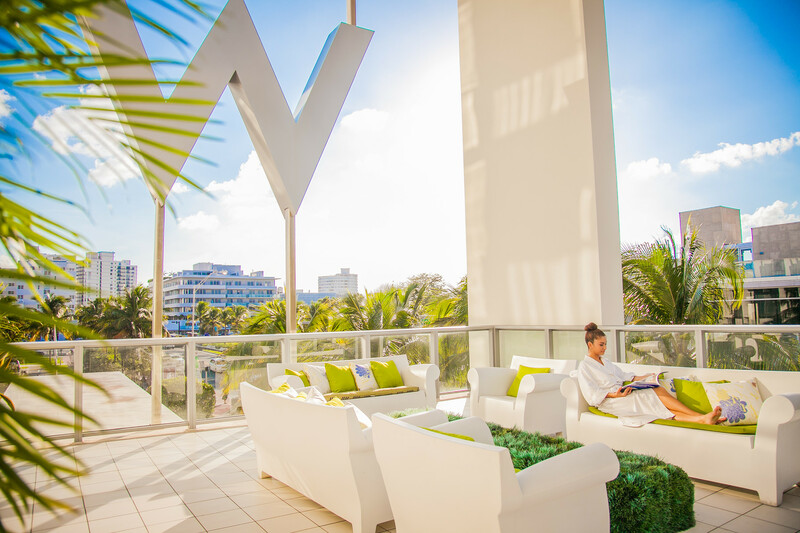 From Andy Warhol paintings in the lobby to skinny bikinis and European fashion trends at the pool deck, the W South Beach almost feels like a luxury resort set along the Mediterranean Sea in the South of France. 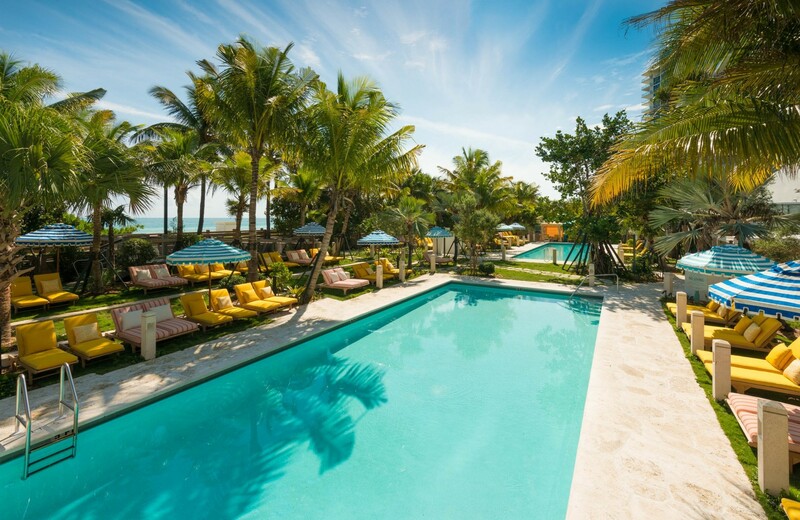 During the summer months, it definitely draws a number of European travelers looking for a hip and fun resort in the heart of South Beach. 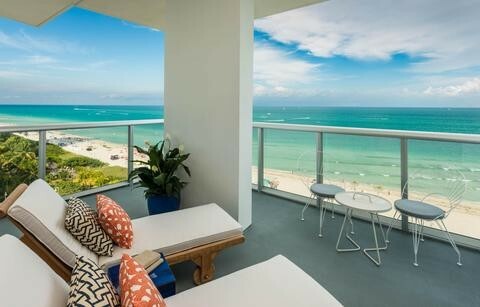 A fun fact about The W South Beach, they are the newest built hotel in South Beach (completely new construction from the ground up) and all of their rooms and suites have an ocean view. How many hotels in South Beach can say that? They're one of the few!! 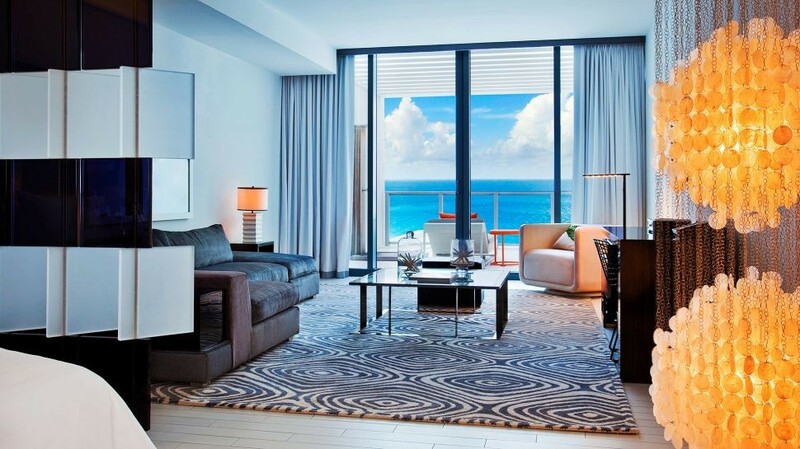 The guest rooms and also bigger than almost any other property on South Beach. My guest room had a private balcony, an separate sitting area with an additional TV, work station and L-shaped sofa. This a huge plus especially for families traveling with a child. During my stay at The W South Beach, I also had an opportunity to join a 75-minute Muscle Melt Massage at Bliss Spa. Bliss South Beach is the spa for the resort and although it's a boutique spa, it features a number of treatment rooms, with separate ladies and gentlemen locker rooms and a nice outdoor terrace for relaxing after your massage. My treatment was first-class and Gaby, my therapist attended to every ache and sore muscle that needed attention. They also have a nail studio if you need to get a manicure and pedicure during your stay. Thank you to everyone for taking great care of me during our stay at The W South Beach! 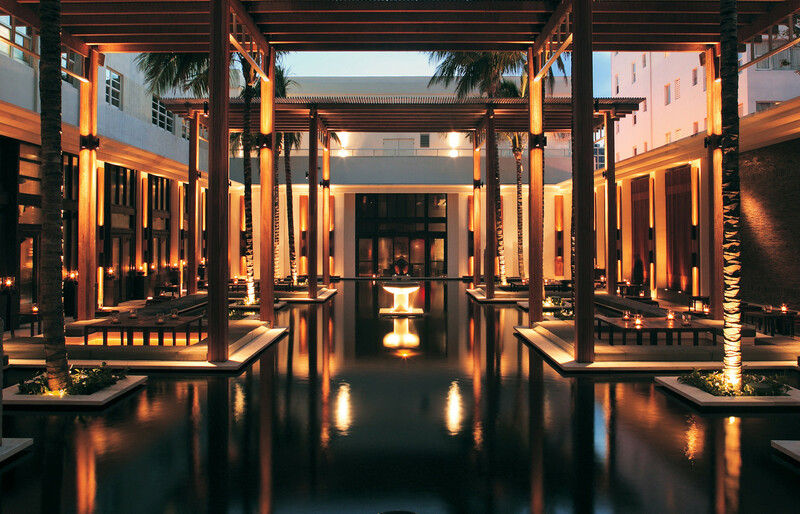 Highlights: The Setai was built in 2005 and just recently celebrated it's 10 year anniversary. 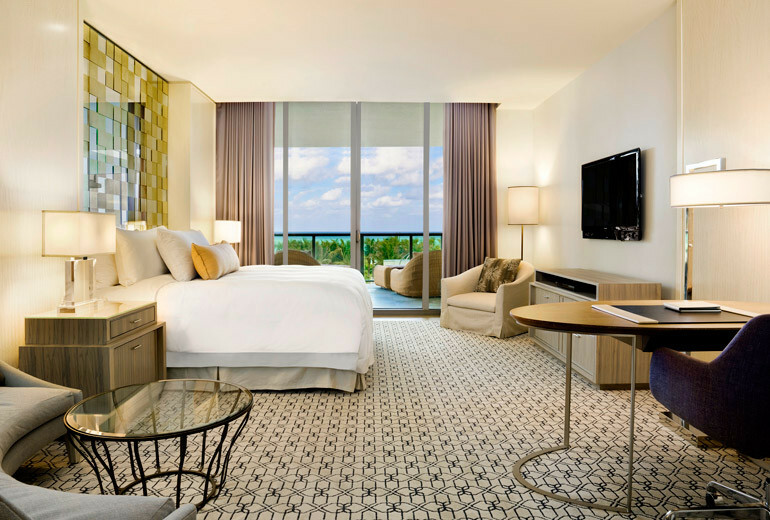 Since they opened their doors, The Setai has been consistently recognized as one of the hotel industry's true gems in Miami. After my visit to the property on July 14th, 2015, I can definitely understand why. The resort was built using the most luxurious furnishings and design elements during the initial construction process. The asian influence and zen-like feel throughout the hotel lobby, guest rooms and suites would make anyone feel relaxed, welcomed and create a true sense of well-being. The resort is not "in your face" luxury with the typical pretentious nature that South Beach tends to influence on other hotels, rather it is more understated but guests will feel a deep appreciation for the thoughtfulness and versatility of the public spaces, pool deck, restaurants and most important the functionality of the guest rooms and residential suites. 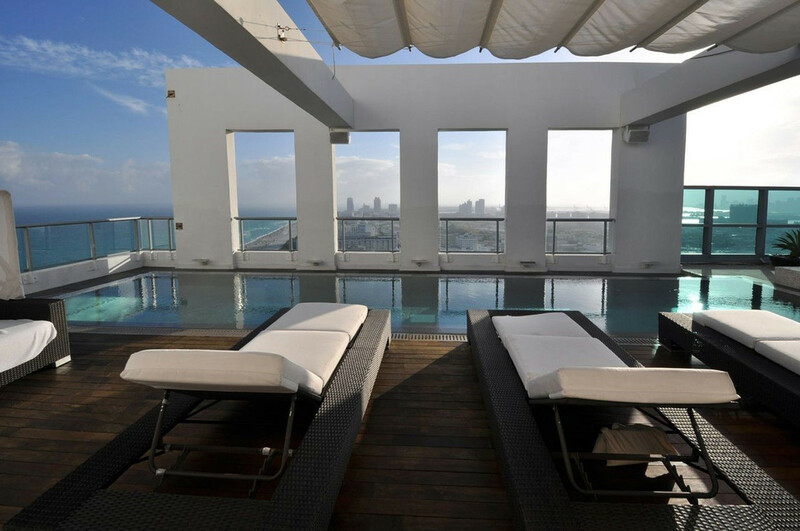 Interesting fact about The Setai, they are the only property in South Beach that features one, two, three and four bedroom residential suites. Their residential units feature spacious kitchenettes, washer and dryers, walk-in closets and ample space for those traveling with children. 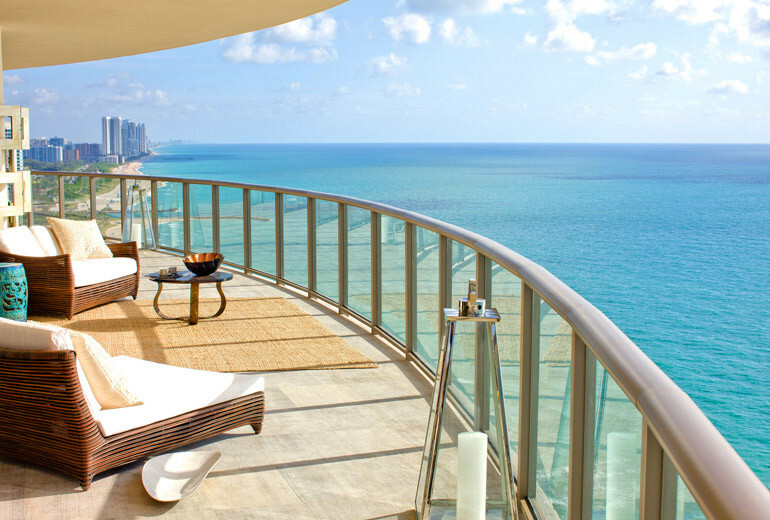 The Setai is also one of only 115 properties in the world to be the recipient of the coveted, Forbes Five-Star Rating. I can say that even during my short time at the resort, their world-class service was impossible to ignore. Everyone was engaging, making eye-contact, welcoming me to the property, asking if they may be of assistance which is very unusual for resorts in Miami (I'm sorry but world-class customer service is not exactly plentiful in Miami and South Florida). Thank you to everyone at The Setai for an enjoyable but brief visit this week especially Yasmeen Sarwar for taking time out of her day to provide me with a great detailed tour of their beautiful resort.